Ford Motor Co. is officially extending production of its GT supercar for two additional years, the company announced in Detroit, Aug. 19. The initial production run called for 500 GTs, with 250 built yearly for Ford by engineering and components maker Multimatic in Markham, Ontario. Multimatic helped engineer the technology- and carbon fibre-intensive car, which won its class at the Le Mans 24-hour endurance race in France. Ford said it received 6,506 completed applications for the first 500. The car is expected to be priced around CDN$600,000. 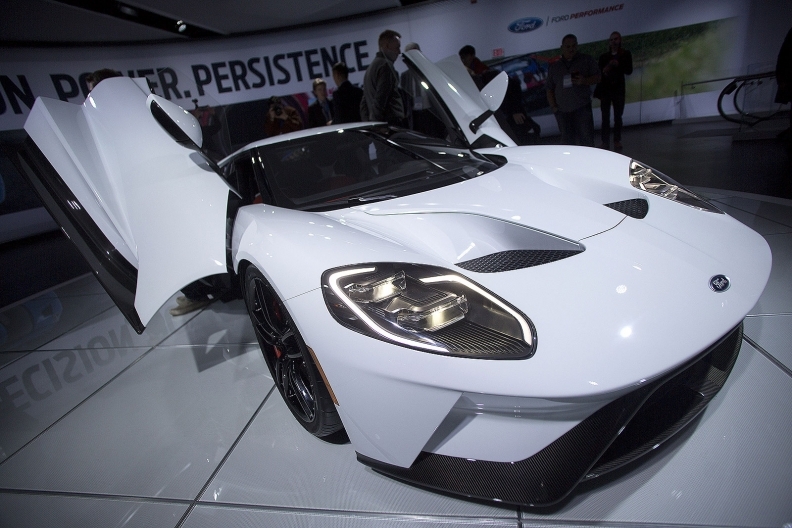 "While we can't build enough Ford GTs for everyone who has applied, we are going to produce additional vehicles in an effort to satisfy more of our most loyal Ford ambassadors," said Dave Pericak, global director at Ford Performance, in a statement Friday. "We want to keep Ford GT exclusive, but at the same time we know how vital this customer is to our brand." Now that production has been extended, year-three production will go to applicants who were placed on the wait list, Ford said. Of the accepted applications, 87 per cent currently own a Ford vehicle and 69 per cent own a previous-generation GT, said Raj Nair, Ford's vice president, product development, and chief technical officer, on the automaker's employee website.